Palm Desert CC. Golf Palm Desert CC. Palm Desert CC golf course details and information about Palm Desert Country Club in Palm Desert, California. Palm Desert CC is a public golf course in Palm Desert California. It is an 18-hole, par 72, golf course with a recreational layout featuring lush double-wide fairways. 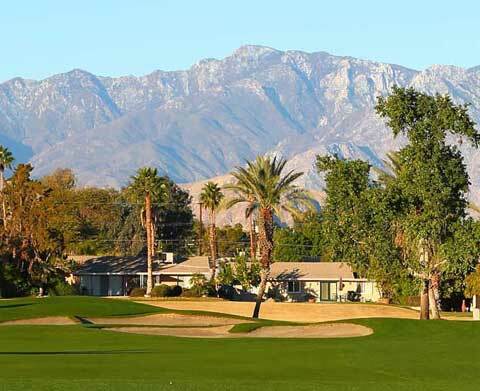 The Palm Desert golf course is close to Palm Springs International Airport (25 minute drive). It is also surrounded by spectacular views of the Santa Rosa, San Jacinto and San Gorgonio Mountains. The spacious 42,000 square-foot, full service Palm Desert Club features a comfortable lounge and dining room. It overlooks a big lake with wonderful views of the surrounding mountains. The Palm Desert Country Club restaurant is Cactus Club, which features a pub-style dinner menu. Palm Desert Golf and Country Club is just minutes away from everything you need to make your trip to paradise a memorable one. Imagine shopping, dining, golfing, exploring, sightseeing, or just relaxing on warm, sun-filled days with blue skies and beautiful mountain ranges. Book a tee time and Golf Palm Dessert CC today!